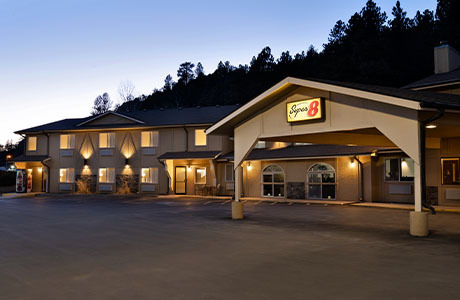 Eat, sleep and play in Custer! 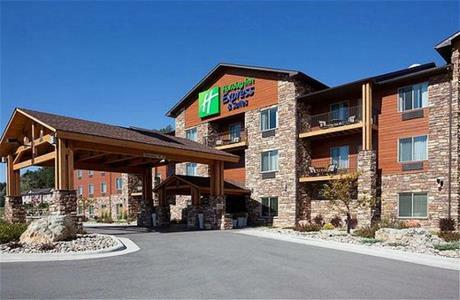 Eat, sleep and play in Custer! No matter what time of year you visit, there is no end to all the things to do in Custer. We’re super close to some of the area’s finest summer activities, from mountain biking, hiking, fishing and world-class UTV trails. Custer is literally minutes, not miles folks, from the monuments you came to see! Check them out below and start planning your trip today. Seeking adventure-filled, year-round outdoor recreations? 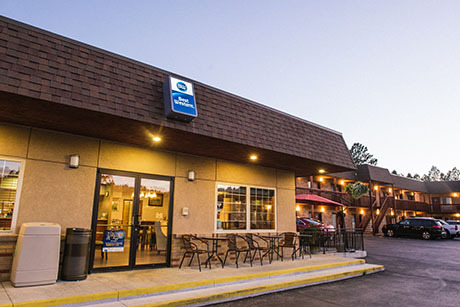 Custer might just be the place you’ve been looking for. With an abundance of winter and summer recreations opportunities, our community provides a gateway for adventure to everyone. Weather on a UTV, mountain bike or snowmobile you can blaze a trail all year long in Custer. Living in a our little mountain town comes with series perks; backyard access trails, the best restaurants, lakes for kayaking or paddle boarding, UTV rides-up to the iconic sites like Mt. Rushmore and Crazy Horse. In Custer, bikers and UTVs navigate trees and rock formations, cars wait for Bison to cross the road and photographers retreat to Custer State Park to capture Instagram worthy snapshots. The Custer area has stellar options for you, your friends and family to the explore the wilderness by UT., although you might need to share the riding space with elk and wild turkey! Trail system fees are very affordable, and allow off-roaders access to more than 3,600 miles of road, 600 miles of trails, hidden treasures, and scenic vistas. The Black Hills’ longest trail gives you full exposure to the region’s diversity, from wildflower-carpeted meadows to echoing canyons. Some trails are only open seasonally, and off-road enthusiasts are encouraged to visit the Black Hills National Forest website to obtain an updated map of off-road trails before embarking on their adventure. 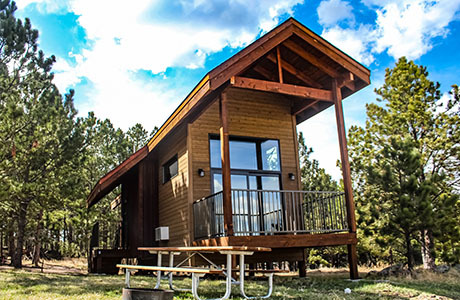 Rentals are available at our Buffalo Ridge Adventure Shop.Each unit has park passes and forest permits, and the ATVs are street and highway legal. ATVs can fit anywhere from two to six people. Our Buffalo Ridge Resort Adventures Shop is open every day 7 am. – 7 pm., and rentals are available 8 am – 5:30 pm. Book now at Buffalo Ride Adventure Rentals! Custer encompasses rugged rock formations, deep canyons, grassy meadows, cascading streams and challenging mountain biking trails. Biking around the Custer area is an outdoor marvel, bar none. We have trails ranging from rocky and technical to smooth and flowing. You can even find a sweet mellow road in the forest for a family outing. The Mickelson Trail is the most popular biking trail as it offers a full experience of all the outdoor splendor of the Southern Black Hills. 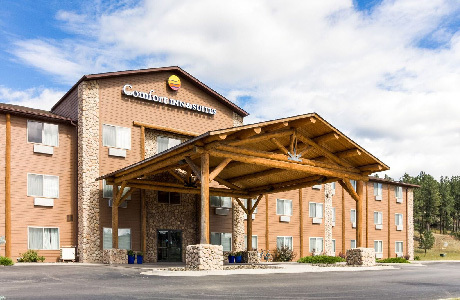 For that reason, our destination wins more and more accolades every year for its varied terrain and exquisite backdrop.Visitors can start at the Custer Hospitality Home Office (35 S 4th Street) , or just take off right outside their hotel on the trail. Because the trail was once a railroad, the steepest grade is only 4%, making it very family-friendly. Some water stations are available along the trail in the summer, but cyclists are encouraged to bring their own water, snacks and camera! Bike rentals are available at our Buffalo Ridge Adventures. Kayaking and paddleboarding on the waters in Custer State Park is a great way to experience some of the prettiest and untouched backcountry around. Push yourself for some speed or just relax on one of our sit on top kayaks. Rent your Kayak with Buffalo Ridge Adventures! Take a hike and explore one of our many local trails! With beautiful Custer State Park right outside of town and the Black Hills National Forest serving as our backyard, Custer hiking options seem endless. The clear mountain waters are inviting, and the open ranges are waiting to be discovered. Bring your family to Custer State Park, and let yourself run wild. Custer State Park in the Black Hills encompasses 71,000 acres of spectacular terrain and an abundance of wildlife. Within the park, you'll discover a world of adventure! The Custer area is one of the most beautiful areas in the state, with free-roaming buffalo, hidden caves, distant views from mountain tops, and babbling brooks surrounded by towering trees. Make sure to visit the six of the best hiking trails—you don’t want to miss anything! Among the most popular hiking trails is the gently sloping, 109-mile George S. Mickelson Trail. The uncrowded, natural surroundings of this trail are ideal for walking and backpacking. Near Sylvan Lake, the Sunday Gulch Trail is a three-mile loop going over boulders and across streams – sometimes streams going over boulders! Don’t worry, there are handrails to guide hikers over the slippery sections. You’ll want to wear sturdy hiking shoes that you don’t mind getting wet. While it is a strenuous path, the views of the waterfalls are worth it! Located across from the Peter Norbeck Education Center, this three-mile loop goes up-hill for a while before evening out. The turnaround point at this trial is marked by a sign reading “Custer State Park is a place where one can still be an unworried and unregimented individual and wear any old clothes and sit on a log and get his sanity back again.” This trail has views of Cathedral Spires, Black Elk Peak, and Mount Coolidge. Take a minute to catch your breath and admire the views below before starting the trek back down. The trail crosses several serene streams which are known to attract buffalo. Little Devils Tower has fantastic views of Cathedral Spires, Black Elk Peak, and the sprawling Black Hills forests. The trail itself is a little over one mile and branches off from Trail #4 to Black Elk Peak. It requires some climbing over granite boulders and traversing steep, rocky inclines, but it is a rewarding hike for fit hikers! While most of Custer State Park is forested, take a hike down the Prairie Trail to see the park’s amazing environment diversity! This three-mile loop, and it is easy and level. The trail goes through a small creek and passes a variety of plants and wildlife. Don’t be surprised to see buffalo! Climb all sorts of peaks when you rock climb in Custer! Conquer the Needles of Rushmore and discover some of the best granite faces climbs in the country! Custer State Park is a playground for thrill seekers, no matter your experience level. If climbing the eroded pinnacles and pillars of the Black Hills calls your name, we know the perfect guides for you!